The Bradford Vikings project is well underway now and so I thought I would give you an idea of some aspects of the dating research and the outreach work. I am having fun and therefore, inevitably, the time is flying! I have spent the first few weeks on location in the Faroes. Sadly, this has been in mind and not in body. 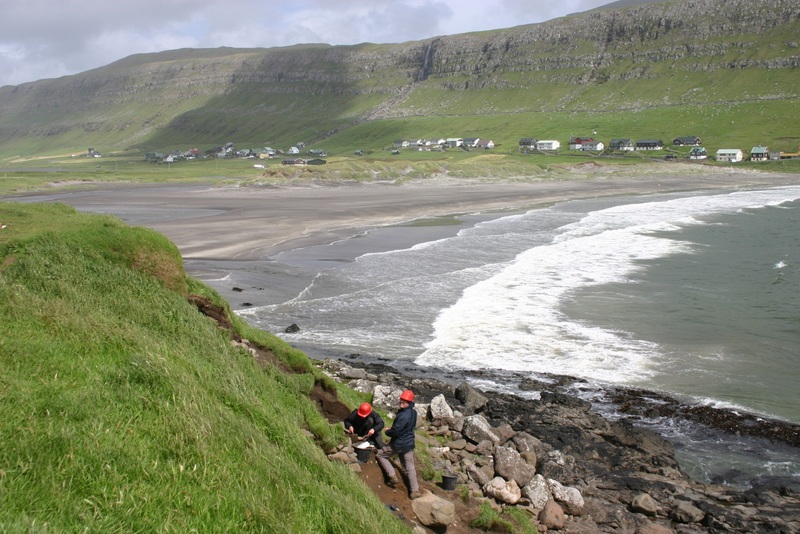 As a pilot study for the dating research, I have been reviewing the available scientific dates for Viking period settlement in the Faroes, to get an indication of the extent of the data, its availability and what supporting information I need to collect. There has been excellent help from colleagues working there; Dr Julie Bond of Bradford University, gave me an overview and discussed the projects she has worked on, I had very helpful discussions with Dr Mike Church of Durham University and Dr Símun Arge, head of the National Museum and Archaeology Department in Faroe, has been very generous with suggestions, offprints and helping me decipher Faroese publications. It’s too early to talk about patterns and outcomes, but there are clearly large numbers of high quality dates produced in the last 10 years which have the potential to change views of the timing of westward expansion. The other aspect of the project is public engagement and I have spent a very entertaining time planning ‘Viking’ activities at Saltaire Primary School, who have kindly agreed to test out some ideas on real children. We are planning on adapting the excellent ‘Dustbin Detectives’ activity suggested by Archaeology Scotland, to get the children handling archaeological material and thinking about aspects of Viking life beyond raiding. We will follow that up with workshops involving chocolate casting, boat designing, soap carving and similar. I’m still on the hunt for good ideas, so don’t be shy in making suggestions.